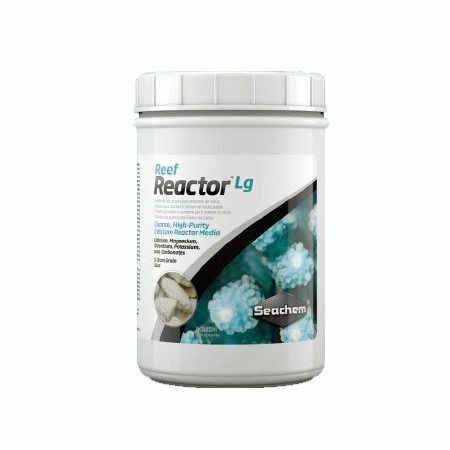 Seachem Calcium Reactor media ( large™) is a high-purity source of aragonite, which supplies all important elements for optimal ionic balance and robust coral growth and coloration in reef aquaria. It has a grain size of approximately 1–3 cm (Reef Reactor™ Medium is 0.5 – 1 cm). It is intended for use in calcium reactors where it is dissolved slowly with the addition of CO2. 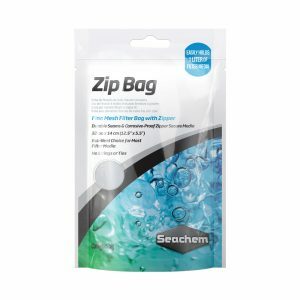 As it dissolves, it provides calcium, magnesium, strontium, potassium, and carbonates among other important elements for reef aquaria. It is excellent at increasing and stabilizing alkalinity, which also supports a stable pH and encourages the rapid formation of coral skeletal material. 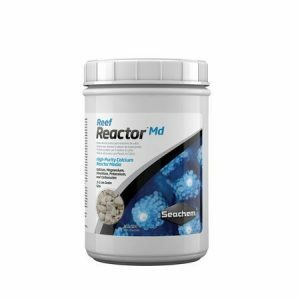 With high levels of both calcium and magnesium, it offers an excellent means of balanced supplementation for rapid growth and propagation of corals and calcareous animals in reef aquaria. It possesses the highest level of soluble potassium of all competing brands while exhibiting the lowest levels of both aluminum and phosphorus. 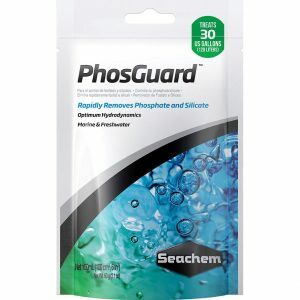 Rinse seachem Calcium Reactor media prior to initial placement in your calcium reactor. The rate of water flow through the reactor in conjunction with the pH of the water inside the reactor will control the rate of media dissolution. Follow the manufacturer’s instructions furnished with the calcium reactor and adjust the rates of water flow and CO2 injection to attain the desired concentrations of calcium and alkalinity in the effluent. 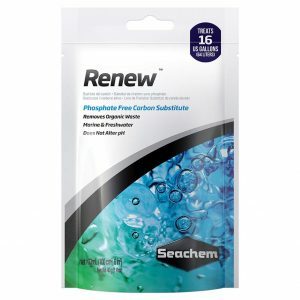 Use Seachem’s Reef Status™: Magnesium and Reef Status™: Calcium test kits to measure alkalinity, calcium, and magnesium concentrations.